Another record was set by Maine lobster fishermen in 2011 with more than 100 million pounds of live Maine lobster harvested during the year, the Maine Department of Marine Resources announced. The previous record of 94.7 million pounds was set in 2010. It was a good year for lobster aficionados with the Maine record lobster harvest providing in 2011 plenty of fresh lobster for the cook pots. The state’s preliminary catch numbers for 2011 illustrates just how strong the lobster resource remains, Department of Marine Resources Commissioner Patrick Keliher recently told The Associated Press. The previous record of 94.7 million pounds, worth more than $313 million, was set in 2010. This was the first time Maine lobster fishermen caught more than 100 million pounds, with officials stating it is a sign that the lobster is alive and well in Maine and that conservation methods embraced by the industry has paid off. The catch has been rising steadily, according to records. The harvest topped 80 million pounds for the first time in 2009 and 90 million in 2010. Back in the 1980’s a 25 million pounds harvest was the norm. While southern New England states – Massachusetts, Rhode Islandand, Connecticut — have reported a drop in the amount of lobster caught, Maine’s signature seafood is continuing to show strong growth, officials said. Carl Wilson, a lobster biologist with the Department of Marine Resources, said in the report that the catch has been particularly strong in the waters off the eastern half of Maine’s long ragged coast and is holding its own in the in the western half of the state’s waters. The report said lobster in recent years has become increasingly important to Maine’s fishing industry overall, as ground fish, scallops, urchins and other seafood sectors have fallen off. 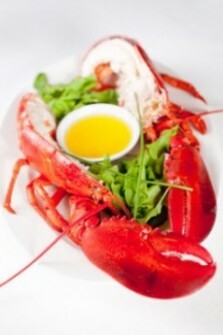 Out of the total of Maine’s overall seafood harvest, lobster now accounts for about 70 percent of the value. Although the lobster harvest was strong last year, lobstermen said they are concerned about the low prices they’ve been getting from the dealers. The boat prices, the price a wharf dealer pays the lobster boat owner, have never fully recovered from the 2008 economic meltdown. A boat owner recently reported that 43% of his sales went to cover the cost of fuel, bait and the sternman crew. The boat owner said he spent another 13% on other expenses. The boat owner said he has been lucky that he has not had to cover any major repair expenses and is hoping the boat price recovers this season. Officials said the final volume report along with the dollar value would be ready by the end of February.